Have you ever played bar golf? When I did it the first time years ago in Texas, they made me feel like I was so late to such a popular game. When I planned it for my birthday party last weekend, no one really understood it. They kept asking if it was mini golf, a bar with a golf course, and more shockingly: If they needed to bring their own clubs. Fun fact about me: I'm terrible at ball sports. I'll never celebrate my birthday with balls. Well, the kinds that you have to be skilled to play with, anyway. Assuming I would do golf on my birthday is like believing I'm pregnant. 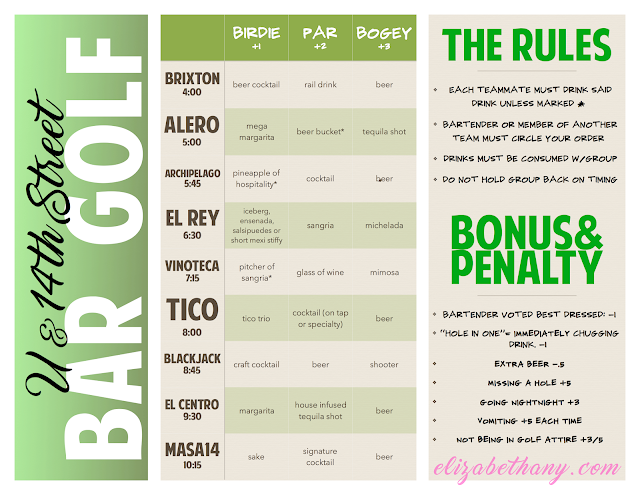 Bar golf is a bar crawl in which you go to nine bars, and earn points based on what you drink. The simplest way to play it is saying no matter which bar it is, a birdie = beer + shot. Par = shot. Bogey = beer.... or whatever variation you'd like. I don't believe in the easy or typical way of doing things, so I personalized it based on the bars we went to. I figured out who had happy hour and what was a good deal. I figured out what the bars were known for, what was strong, what had a lot of sugar, etc... and most importantly: which bars had beautiful rooftops. From there, I came up with other ways to earn points and made this here score card. Everyone's immediate reaction: "This looks easy, I'll do all birdies AND a ton of extra drinks! SPOILER ALERT: No one finished. 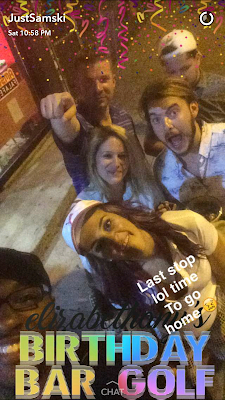 We didn't even make it to El Centro. So, if you play this version, and you wanna win, don't do the extras. Trust me. If you wanna really up the ante, get some trophies. [Told ya they're my new thing!] You can even add a Snapchat filter to the bars you're going to for $5/hour. Worth it. All in all, it's a damn fun game, and it doesn't have to be so aggressive. You could do teams of four, that might make it easier, or take away the points for extra beers. I tried to make it not worth it for half a point, but that excited people. 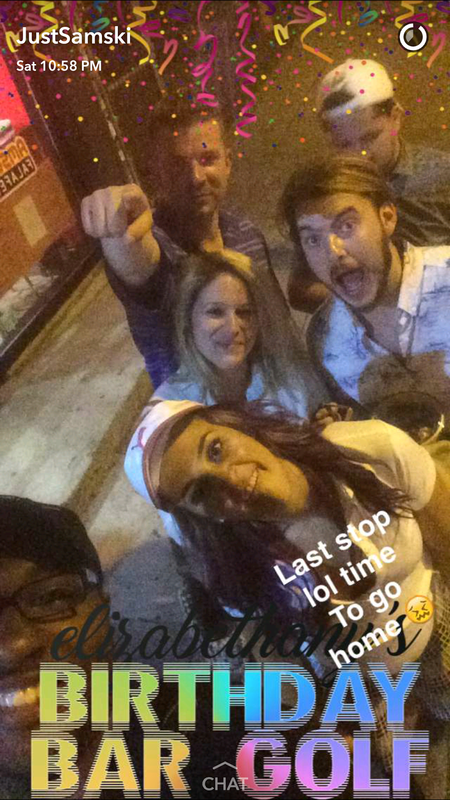 And that's a wrap on another birthday celebration! My 30th is already in the works and if it doesn't go as planned, know that I will blow the world up if Trump hasn't already.